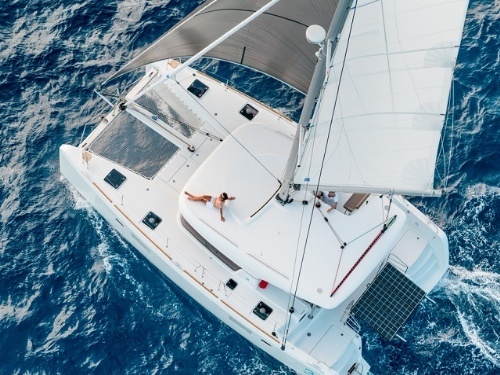 For charter on the Croatian coast it is necessary to have at least one person with a valid nautical license as well as radio license (controlling the radio station) on the boat. The Croatian Ministry of Sea, Traffic and Infrastructure brings a list of international licenses that are recognized and valid for charter in Croatia - PDF file (381 KB). No matter if you decide to rent a motor boat, sailing boat or a catamaran, it is important to have one of the licenses from the list. In case you don’t have a valid license, it will be our pleasure to organize you a professional skipper for your charter holidays. Most foreign citizens enter the country with a valid passport. Residents of some countries may need to have visas. More information on this you can get at the web site of the Croatian Ministry of Foreign Affairs and European Integration www.mvpei.hr. There are three coastal radio stations on the Croatian coast, which operate the radio communications service (telephone calls) and broadcast weather reports and warning announcements. Dubrovnik Radio (9AD) channels 16, 07, 24. Each coastal radio station has transmitting and receiving stations on several locations. If contact is not established on one of the channels, other channels should be tried. Harbormaster’s offices can usually be contacted on VHF Channel 10, marinas on Channel 17. Channel 1 of Croatian Radio airs news in English every day at 8:05 p.m.
For important notifications from the local Port Authorities visit their web site www.portauthority.hr. For the updates on the road traffic and other useful info on Croatian roads visit the web site of Croatian Automobile Club www.hak.hr. For train schedules visit the site of Croatian Railways www.hznet.hr, and for the timetables of ferries visit www.jadrolinija.hr. All Croatian islands are connected with each other or with the coast, more information about catamaran lines please find on the web site www.krilo.hr. There are 36 ferries, 8 catamarans and other ships which will take you to your destination. There are also lines which connect the Italian harbors Ancona and Bari with Croatian harbors like Dubrovnik, Split or Zadar. You can check the ferry schedule as well as purchase tickets on the web site of SNAV agency. Since most of the clients fly to Croatia here is the list of some airlines that fly to Croatia: www.croatiaairlines.hr; www.ryanair.com; www.wizzair.com; www.germanwings.com; www.easyjet.com; www.aeroflot.ru; www.malev.com; www.lufthansa.com. Croatia has 7 airports, and they are all connected with European airports, especially during the summer. The airports are in bigger cities like Zagreb, Split, Dubrovnik, Pula, Zadar, Osijek and Rijeka and on the islands of Brač and Lošinj.